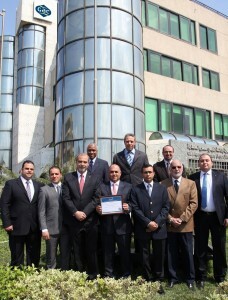 Gulf Agency Company (Egypt) Ltd is the latest GAC company to become a member of anti-bribery body TRACE International, underlining its strong commitment to ethical corporate conduct. “TRACE International, Inc. is a non-profit group that offers practical and cost-effective anti-bribery compliance solutions for multinational companies which are required to demonstrate transparent business practices regardless of pressure, local law or custom. GAC Egypt’s certification comes after a stringent due diligence review of every aspect of its operations and key managers, highlighting the company as a beacon of compliance and stability.